On the seemingly endless quest to find a comfortable, supportive and eco-friendly office chair, we'd like to offer up Herman Miller's recently unveiled SAYL Chair. 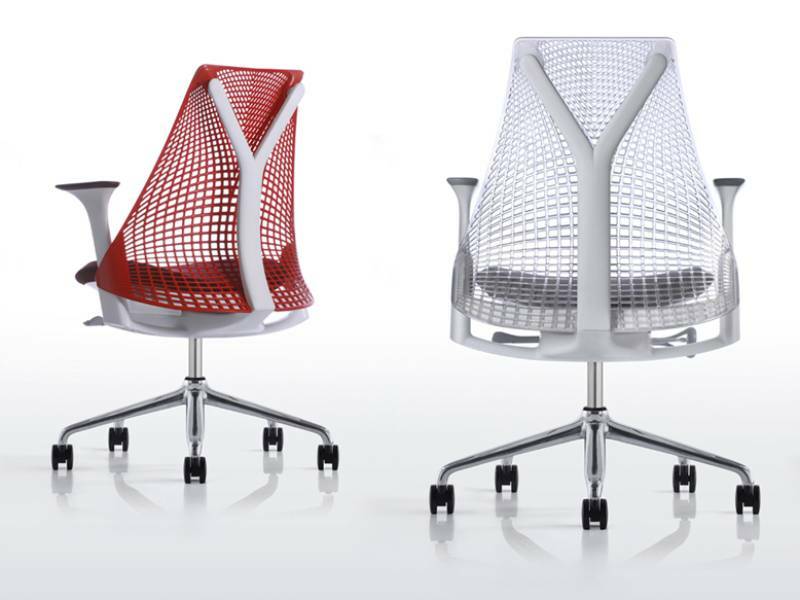 Designed with the help of Yves Behar and inspired by the Golden Gate Bridge, the SAYL is made of 21% recycled content. And with an intelligent frameless back support, this new chair is designed to adapt to a person's shape and movements all while giving the proper support. Behar, who is the founder of fuseproject, a San Francisco-based brand and product design firm designed and built over 70 chair prototypes in the quest to find the perfect ergonomic office chair. He started his design process by asking, “Can the same principles that are used to suspend a bridge over water be applied to a chair?” What resulted was a place to sit that offered optimum support with a minimum amount of materials. The back of the chair, inspired by San Francisco’s famous suspension bridge has nautical influences and from the side it resembles a sail, hence the name – SAYL. The mesh back is designed to give proper support to your spine in all the right places. Herman Miller utilized a eco-dematerialized strategy in order to minimize the amount of materials to reduce the overall footprint of the chair. In addition to being beautiful and comfortable, the chair is made from 21% recycled content. How does one enter thecontest to win the Herman Miller chair. It's not clear. Behar, who is the founder of fuseproject, a San Francisco-based brand and product design firm designed and built over 70 chair prototypes in the quest to find the perfect ergonomic office chair. He started his design process by asking, "Can the same principles that are used to suspend a bridge over water be applied to a chair?" What resulted was a place to sit that offered optimum support with a minimum amount of materials. The back of the chair, inspired by San Francisco's famous suspension bridge has nautical influences. And from the side it resembles a sail, hence the name - SAYL. 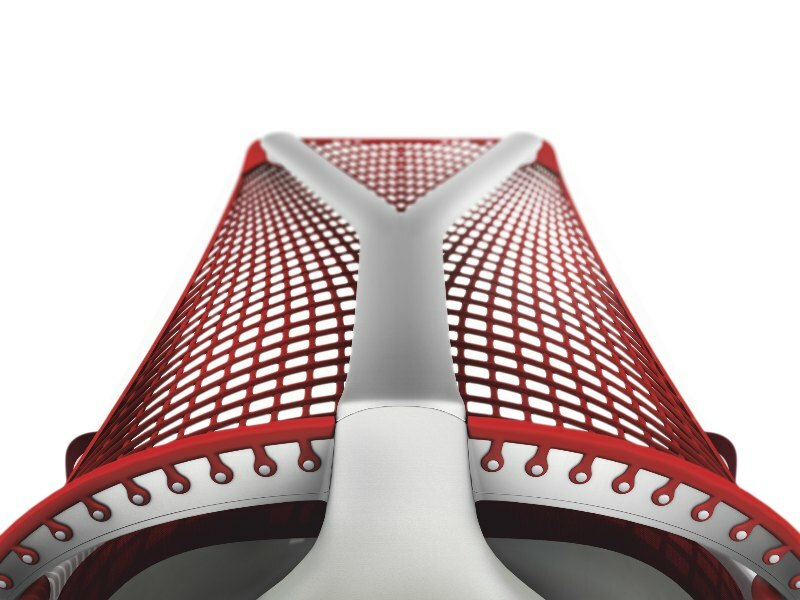 The mesh back is designed to give proper support to your spine in all the right places. Herman Miller utilized a eco-dematerialized strategy in order to minimize the amount of materials to reduce the overall footprint of the chair. In addition to being beautiful and comfortable, the chair is made from 21% recycled content.